If you have lived in East Moline, IL for any length of time, you know how cold it can get during the winter. This can be made even worse if your home's furnace isn't functioning properly. 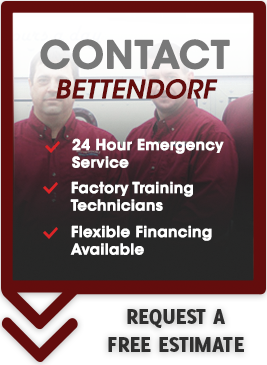 Here at Bettendorf Heating & Air Conditioning, we are proud to offer furnace and heating repair among our services. 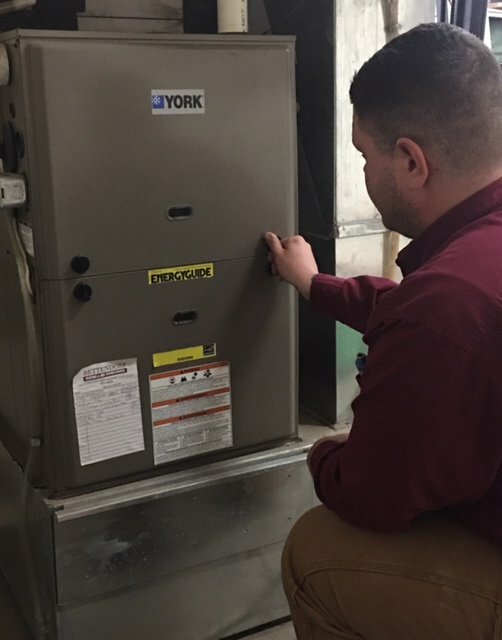 Our technicians have worked on furnaces from all of the top brands over the years, so you can count on us to know exactly how to fix your equipment. We take great pride in the quality of our work and keep up with ongoing training and education to maintain and enhance our skills. When you work with us for your furnace repair needs in East Moline, you can have confidence that you have made the right choice. If we discover that we will be unable to repair your furnace or that it would not be cost-effective to do so, we can also replace your old furnace with a new one. Newer models are much more energy-efficient than their predecessors, so this option can save you a lot of money on your heating costs over time. Rather than waiting for something to go wrong with your furnace, it is a much better idea to have your equipment serviced as soon as possible. This way, you'll know that your home is prepared the next time the temperature drops. We'll be happy to take the time to answer all of your questions before we get started, so don't be shy about reaching out to us for anything you need. Call now to learn more about our heating repair services and schedule an appointment with one of our technicians.